Carlton Avenue School serves approximately 700 students in grades K through 5. We're located in San Jose, CA and serve students from both San Jose and neighboring Los Gatos. Carlton Ave. was built in 1956 and is one of the six elementary schools that, along with the two middle schools, comprise the Union School District. Our best resources for student learning and literacy are teachers, school staff, parents and community members. Through a skilled staff and a strong tie to the community, the school does all it can to nurture parent and community partnerships. Our school community is devoted to providing a quality education and a nurturing environment for all students. By teaching a rigorous content in the core academic areas and valuing visual and performing arts and technology, we are ensuring our children become confident, competent, 21st century learners. Parents at our school are a very active and integral part of the education process at Carlton Ave. Their involvement and firm commitment to the pursuit of excellence in education is an essential element that adds to our success. Parent run organizations benefit the school with proceeds from various fundraisers. Parent volunteers are plentiful, and their contributions include assisting in the classrooms, taking an active role in school committees and organizations, fundraising, chaperoning field trips, maintenance/beautification projects, and more. Our dedicated teaching staff brings vast experience, creativity, and genuine commitment to providing a quality education for students. Students' needs and interests are the highest priority of the staff. They recognize the educational challenges of maximizing the potential of every student; that is to meet all students as they come to us and to guide them to higher levels of achievement. Finally, we strive to create a supportive climate in which every child's talents and interests are nurtured. We are proud to participate in the Project Cornerstone ABC Reader program, which utilizes parent volunteers to present monthly character lessons to classes. We provide support for students struggling with social difficulties through our various social thinking support groups and the Big Buddy/Little Buddy program, as well as offer students opportunities to develop leadership skills through serving as a Recess Leader or becoming a member of Expect Respect or Safety Patrol. 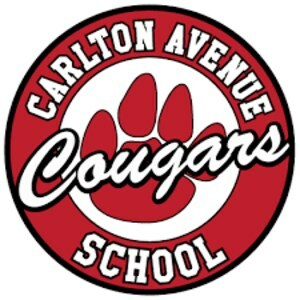 All Carlton Ave. students are encouraged to follow our school acronym PAWS: personal best, act responsibly, work and play safely, and show respect! We strive to recognize their positive efforts through Caught Ya’ Being Good tickets and monthly principal pizza lunches.